Siri has been coaching with the Cheetahs since 2013, but has actually been with Caltaf for 10 years, first as a throws athlete and then as a Senior Coach for the Cheetah Program. 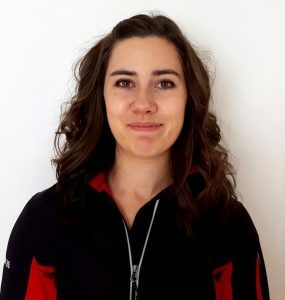 She is currently in her third year at Mount Royal University in the Health and Physical Education Program. Siri has her NCCP Level 2 and was most recently an assistant coach for the overall winner Zone 3 Team at the Alberta Summer Games. The Cheetah Program was where she developed her love for coaching track and field and she wants this passion and love of the sport to be passed onto generations to come.